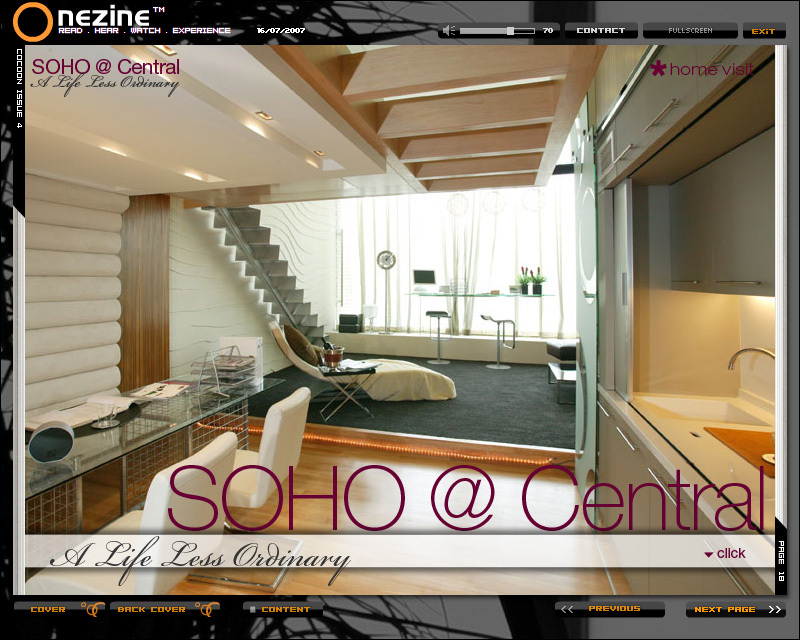 The e-zine was developed using Flash/ActionScript. It featured interactive articles, quizzes as well as video and audio streams. 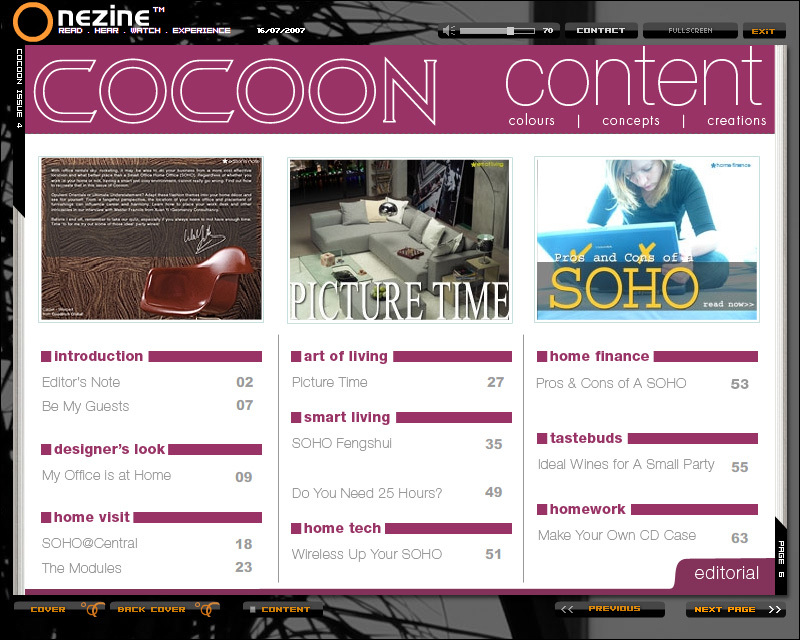 A good number of Cocoon’ readers actually wrote to us telling us how much they enjoyed the e-zine. Unfortunately, due to financial reasons, Cocoon ended its run in 2008. To this day, we are still deeply appreciative and flattered by the kudos from readers!